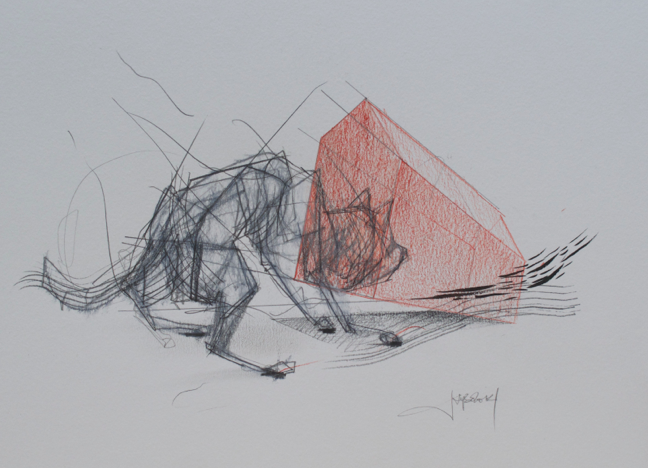 Jaybo Monk has been working on a new series of sculptures “The Wolves” over the last month. 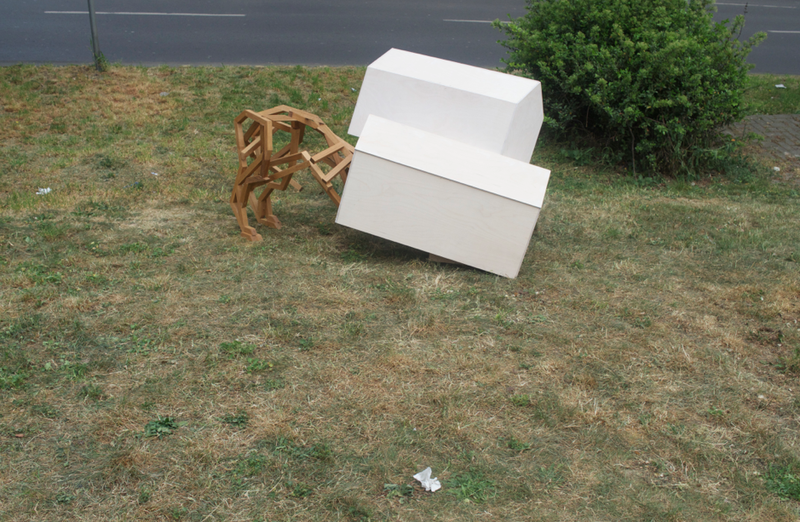 The sketches of the Wolves led to constructed sculptures that have been placed on Schwalbacher street in Wiesbaden. 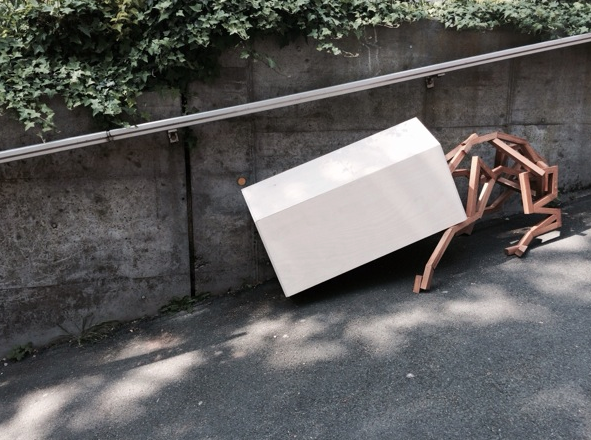 The 9 sculptures were placed insitu leading toward their final destination the Musuem of Wiesbaden were they were installed. “The wolves are building a visual analogy to the integration situations from the 100 different nations who lives around the Schwalbacher street. 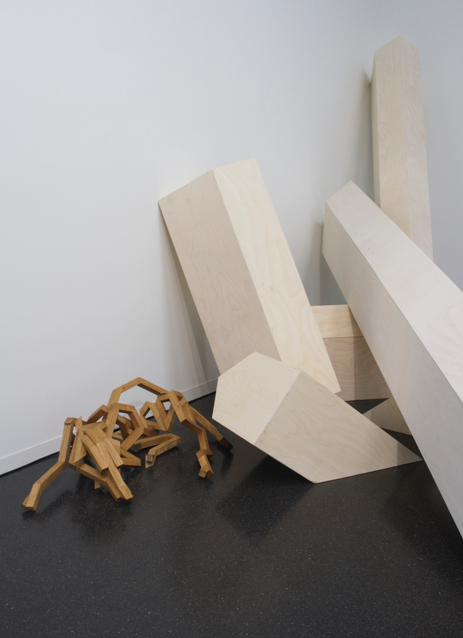 the 9 sculptures symbolized the paradox between the place we are born and their new situation in a foreign place and their difficulties to accept and be accepted . 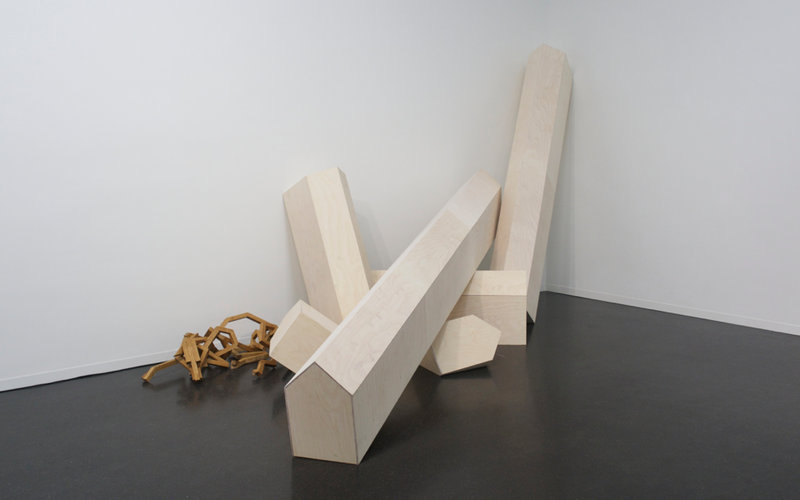 these 1/2 wolves and 1/2 house are made of Oak ,a noble wood and Multiplex , a cheap multiple wood glue together in a hundred of layers both material represent the gap between the rich and the poor .the oak wolf stand for the complicated build society with rules and laws , the houses stands for the culture heritage, the past , the patriotism. 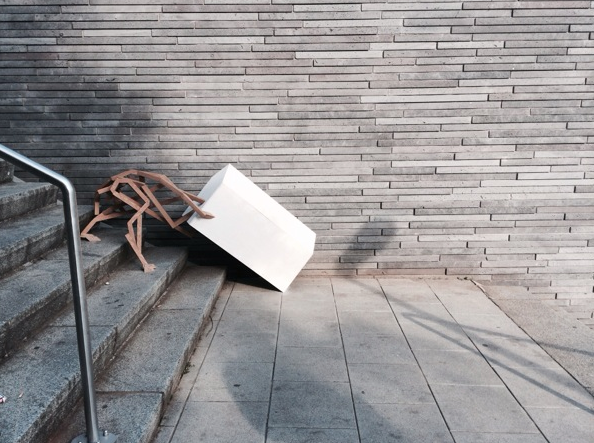 Important is also that the sculptures are place as traces for the viewer to follow until the Kunsthaus museum , a place for intellectual dialogue. 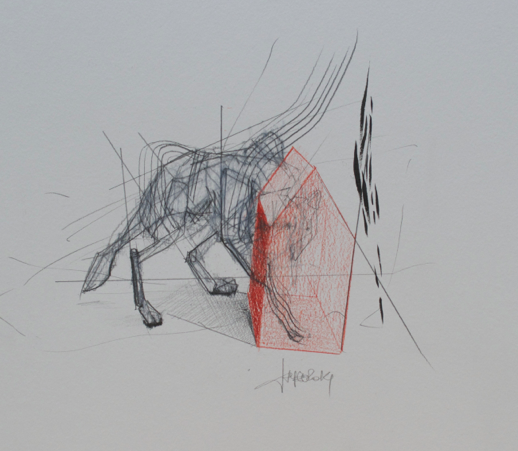 Integration is a dialog and not a dictate.” As usual Jaybo is able to transcend space with not only with is drawings and sculpture but his keen sense of humanism that is illuminated through his work. Conceptually remarkable yet aesthetically satisfying Jaybo manages to engage a range of dialogue with his pieces. The final portion of the project will take place this Saturday with a live drawing session were Jaybo will “Draw with some absurd drawing tools made especially for the occasion . Romulus and Romus the two grounder of Rome have been rise the wolf and symbolized the grounding of cities and societies.” . 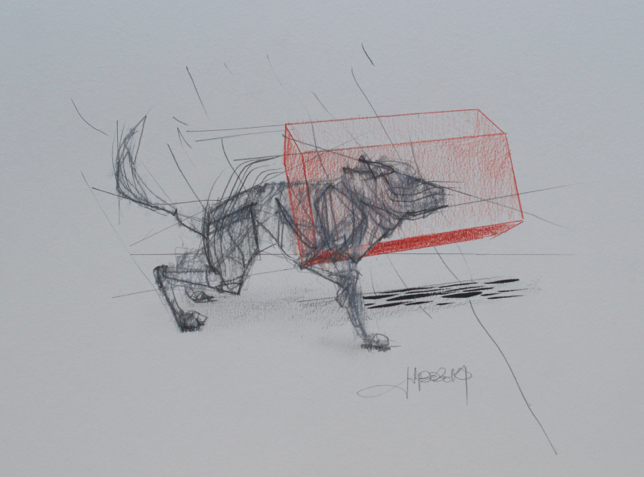 If you can make it to the Wiesbaden Museum in Germany you can purchase drawings from The Wolves series here. 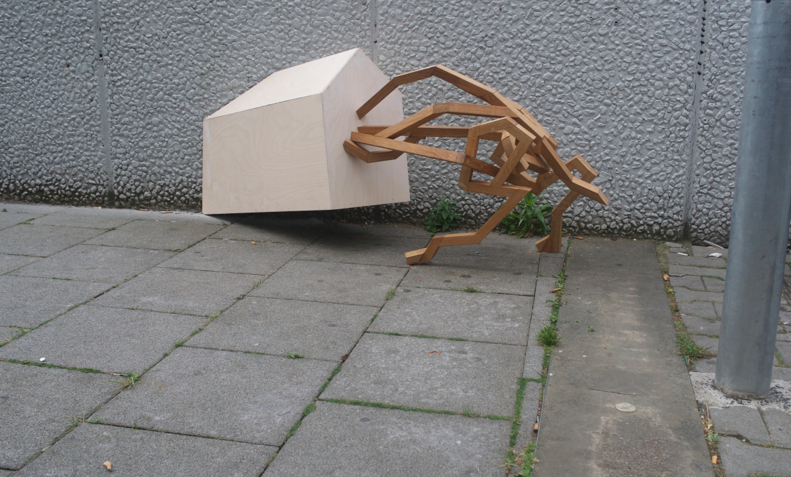 We cordially invite on May 17, 2014 12-15 clock to present the twin city of Berlin-Friedrichshain-Kreuzberg and artist Jaybo Monk in the Art House on Schulberg 10 in Wiesbaden. 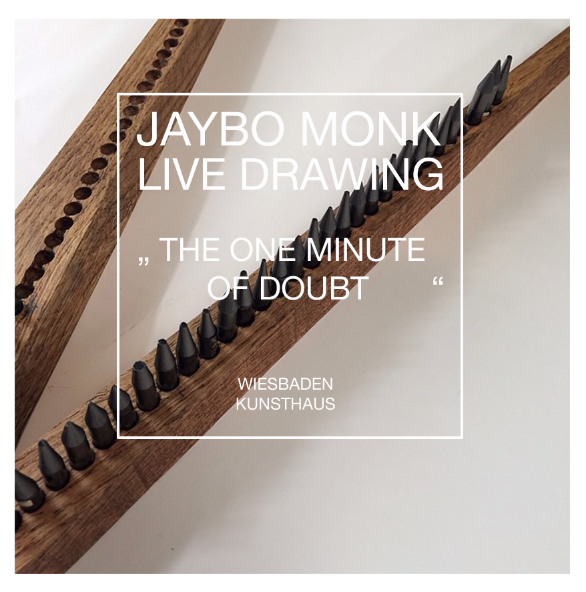 Jaybo Monk will be doing a Live Drawing session call” the one minute of doubt” , this coming Saturday at the Kunst Haus wiesbaden where i will draw with some absurd drawing tools that i made especially for the occasion . Romulus and Romus the two grounder of Rome have been rise bei wolf and symbolized the grounding of cities and societies. All wolf made with the help of my assistant Toshio Mizushima. 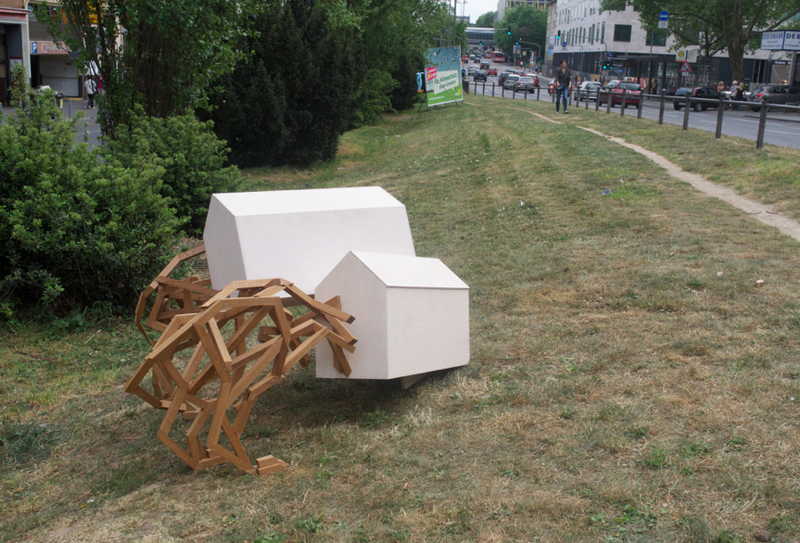 9 artists from 9 twins cities from Wiesbaden near Frankfurt have been ask to do sculptures parcour around the Schwalbacher strasse, a very busy street in the near of the new KUNSTHAUS ( museum). 100 nations are living very close to each others and the diversity of culture bring an Babel tower approach . About the Wolves. The wolves are building a visual analogy to the integration situations from the 100 different nations who lives around the Schwalbacher street. the 9 sculptures symbolized the paradox between the place we are born and their new situation in a foreign place and their difficulties to accept and be accepted . 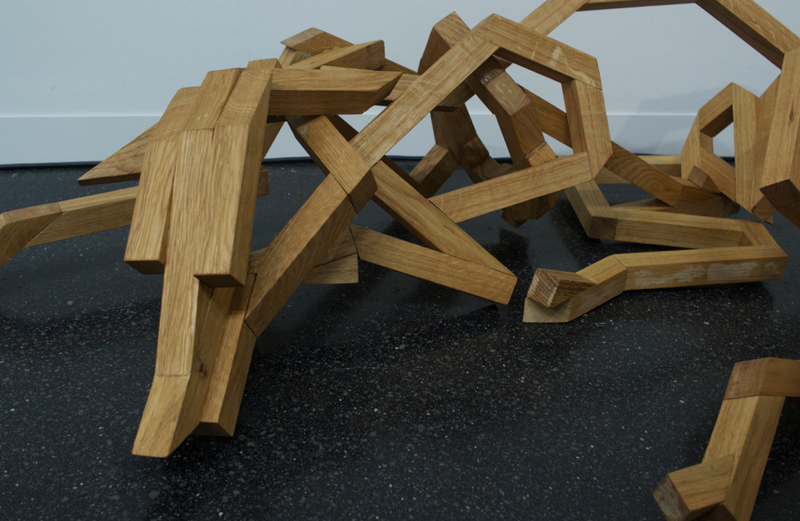 these 1/2 wolves and 1/2 house are made of Oak ,a noble wood and Multiplex , a cheap multiple wood glue togethers in hundred layers both material represent the gap between the rich and the poor .the oak wolf stand for the complicated build society with rules and laws , the houses stands for the culture heritage, the past , the patriotism. 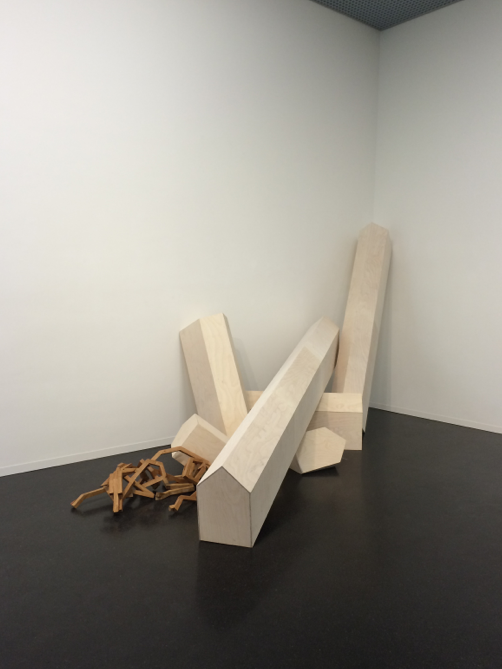 Important is also that the sculptures are place as traces for the viewer to follow until the Kunsthaus museum , a place for intellectual dialogue. Integration is a dialog and not a dictate . Previous post Mural Install Horfée at Robin Soulier Consulting Next postVideo Nawer and Augustine Kofie "Forumation"